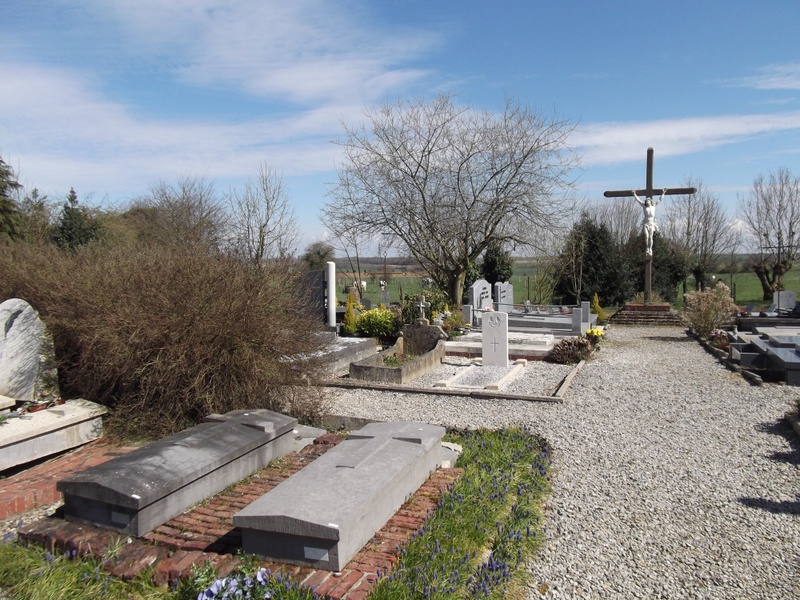 Fosseux is a small village and commune 16 kilometres west-south-west of Arras. 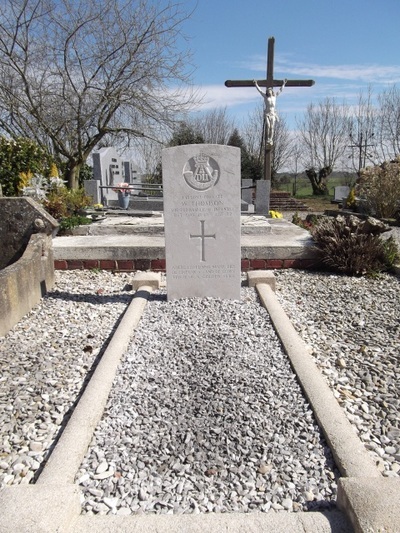 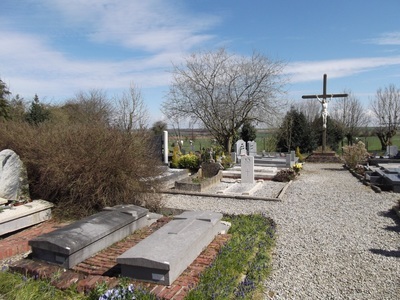 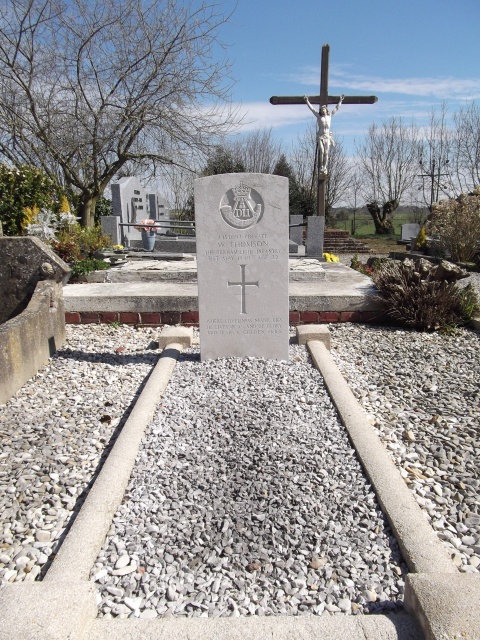 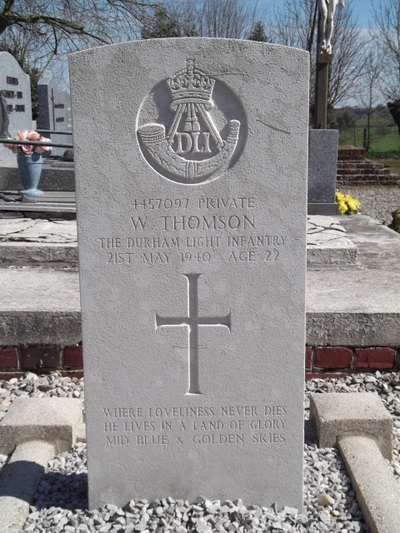 The cemetery is east of the village and north of the D.66 road to Gouy-en-Artois. 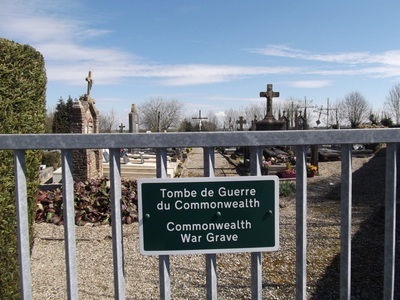 The British grave is some 11 yards south-west of the Calvary, adjacent to the path leading from this to the entrance.